just to make sure your methods is right. First of all,you should read the information about the different kind of hair driers and choose the best one that is fit for your hair style.its easy for you to dry the hair if the hair driers have changeable speed and heat setting. 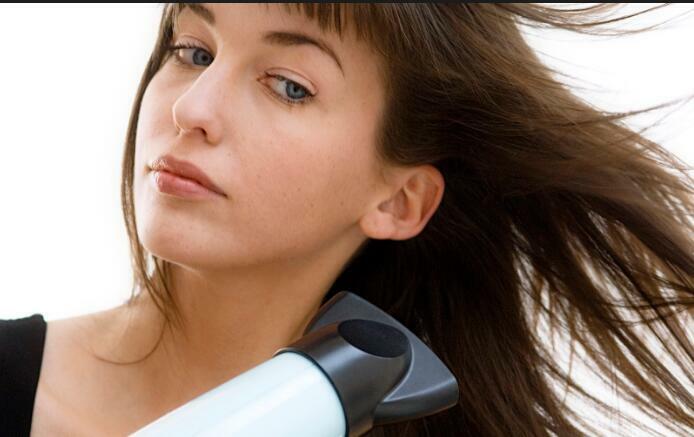 Dry you hair with towel before using hair drier.doing ti gently make sure you don't damage your hair. apply the hair product on hair can style your hair easily and the conditioner can prevent your hair from heat damage of hair drier. Dry your hair from the back of you head.and brush gently through the hair from roots and work your way towards the ends so that you can get a straight and sleek hair. if you want a waves or curls hair,you should warp the hair around the brush and take the hair drier close to the brush until it heats up.continue drying your hair on the sides and the top of your head.keep in mind that brush your hair after drying.